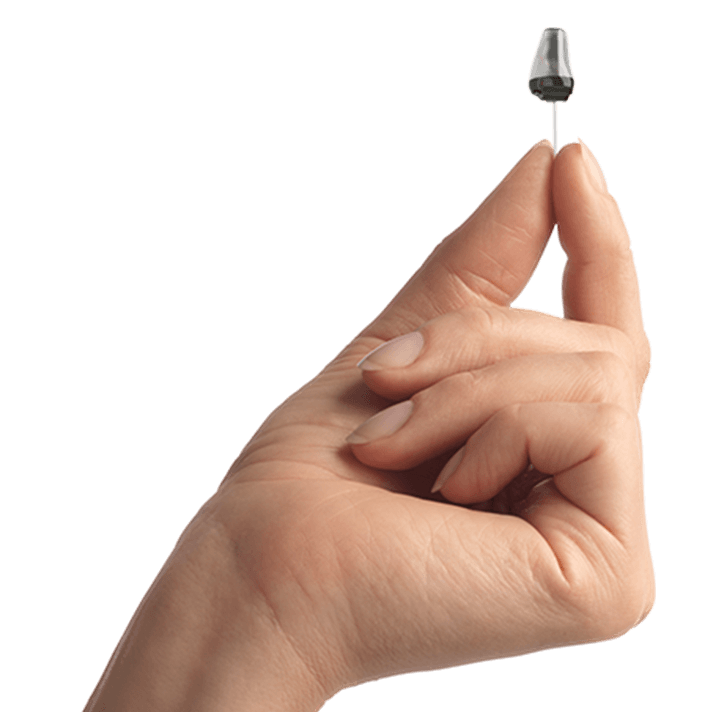 Among the many styles of hearing aids available today, invisible hearing solutions are some of the most popular choices. One of the barriers to hearing aid adoption most commonly reported is the ability for others to see the aids. Though visible hearing aids have other benefits, invisible aids have overcome some of the weaknesses of earlier models, making them an effective and invisible solution. Without the concern that others will be able to see your hearing aids, many are excited to use them in a wide variety of listening contexts. IIC hearing aids are designed to fit fully inside the ear, completely hidden from view. Deep inside the ear canal, these aids meet your hearing needs while remaining concealed from the outside world. This particular style of aids comes with some benefits, but some of the models have demonstrated weaknesses for some hearing needs, as well. A few of these benefits and weaknesses are listed below, although each model has a different profile of features and functionality. Some of the makers of IIC hearing aids include, Starkey, Signia, Phonak, Resound, Widex, and Oticon. Although they may have wireless compatibility, the current models are not equipped with Bluetooth like some other hearing aids have been. IIC hearing aids tend to be no more expensive than other styles, but they do offer a particular profile of benefits and weaknesses that should be considered against the other visible models of hearing aids that are currently available. Of course, the first benefit of the IIC is its invisibility. Without being seen by friends, loved ones, and those you meet in everyday life, there is no need for concern over the appearance of the aids. The IIC is also known for reducing “occlusion,” or the muffled sound that comes with other models. Some people experience occlusion as hearing the sound of their own voice more loudly than the outside world. These low frequencies are trapped within the ear and make it difficult to balance the sound of your own voice with the sound of others, making the world seem slightly quieter. IIC model hearing aids are good at reducing occlusion. They are so tiny that they can direct hearing straight to the ear canal without trapping any frequencies that give a muffling effect, allowing a full frequency spectrum for the user. Although they have some great benefits, some particular models of hearing aids come with weaknesses for some users. First of all, they are not designed for those with severe hearing loss. Although they can amplify sound directly into the ear canal, there is not enough room in these tiny devices for the larger speakers that are necessary for great amounts of amplification. Some models also have a shorter battery life, due to the small size of the battery. Even as batteries are able to capture more energy within a smaller space, this has been a weakness in some IIC models in the past. Some users report that these tiny units do not fit comfortably in their ears. They can be small and somewhat difficult to manipulate when taking them in and out of the ear. Finding the right fit is essential so that they stay securely in place without the feeling they might move or fall out. Fortunately, IICs come in a variety of ear shapes. You should be able to find a model that works well for your ear. Finally, the directionality of sound has been a challenge with some IIC models. Larger hearing aids have directional microphones which detect the direction of sound, identifying a speaker in conversation and reducing the noise of the surrounding environment. IICs tend to be less adept at this function, raising the volume of all surrounding sound, both a person speaking and the room or environment around them. Knowing the features, benefits, advantages, and disadvantages of IIC models is an important step in being an informed consumer. The next critical step is to visit us at Elite Hearing Center, where we will take the time to discuss your unique listening needs and use our years of experience and knowledge to help you choose among the myriads of available products, the devices that will work best for you. Contact us to schedule a consultation and hearing test.